Tuberculosis (TB) is caused by the bacteria Mycobacterium tuberculosis. Most often it affects the lungs, but it can affect any part of the body and is therefore known as extra-pulmonary. Despite being curable and preventable, TB is one of the top ten causes of death globally. In 2016, 6.4 million cases were reported worldwide and 1.7 million people died from the disease (World Health Organization 2017). England has a higher TB incidence than the rest of the UK and Western Europe. There are parts of England with low rates, but London has the highest burden followed by the south of England and the West Midlands (Public Health England (PHE) 2017). There has been some recent decline; in 2016, 5,664 TB cases were notified in England, down from the 5,727 cases in 2015 (PHE 2017). Despite the decline, challenges remain in those with social risk factors, such as homelessness, drug and alcohol abuse or in prison, and those who require enhanced case management. Clinically and socially complex patients often require a multi-agency approach. To ensure an appropriate workforce to deliver TB control in future a TB competency framework has been developed (RCN et al 2017). The ‘Tuberculosis Nurse Competency Framework for TB Prevention, Care and Control’ outlines competencies which reflect a consensus on the good practice already applied in many places. 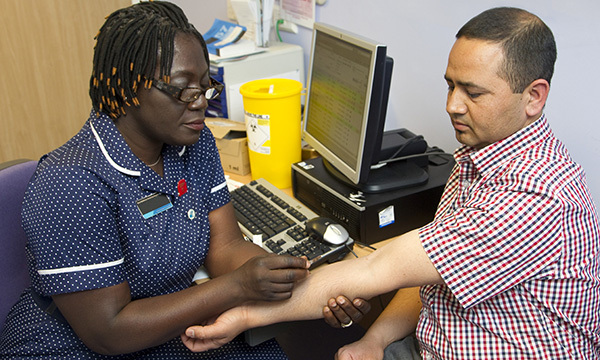 The framework aims to provide a clear pathway for nurses thinking about entering TB nursing – and for nurses already working in TB. It can be used by nurses for their annual appraisal to support their personal and professional development. The aim of the document is to enable a highly competent TB nurse workforce to deliver safe and consistent care, to support recruitment and retention, and enhance TB nurses’ leadership potential. The framework was developed in response to the 2015 Tuberculosis Nurse Workforce review in England, which aimed to understand the current staffing issues and to ensure that England has specialist TB nurse workforce over the next 15 years. It found that there were no national competencies for TB nurses to work by, and that TB nurses learn or are trained on the job (Centre for Workforce Intelligence 2015). TB management, control and prevention require specialist skills and knowledge. It is essential that nurses have a shared policy or structure of the skills required and that there is support for those who wish to enter or work in the field of TB. The TB competency framework has been developed in line with the Nursing and Midwifery Code (2015), which sets out professional standards demonstrated by the revalidation process. The framework supports TB nurses in reaching their full potential by setting out a career pathway. It offers consistency in banding together the experience and skills that are required for the role. It also provides a clear guide for nurses entering the specialty based on individual learning career progression. Where a new starter will achieve objectives and competencies within the first 18 months of starting, for example, someone part-time will be expected to take longer. This can be demonstrated by annual appraisal. The framework is aligned with the Knowledge and Skills Framework, and has been lined up with the suggested banding, but there is some overlap in skills and levels/banding. TB nursing involves working with families, with most nurses case managing children and adults. The framework was developed to ensure a family-centred approach to care and to ensure safeguarding of children and young people. The framework relates into the Collaborative Tuberculosis Strategy for England: 2015 to 2020 by linking in to the ten ambitions (PHE 2015). It also ensures that practice is based on the latest tuberculosis guidance from the National Institute for Health and Care Excellence (NICE) (2016). All core dimensions are required by all posts, but variance is expected based on local organisation of services, epidemiology and geographical area. Although primarily for nurses, the framework can be used by the wider workforce, managers/employers and commissioners. The competency framework can be accessed here. The RCN website also includes other useful TB related documents and tools. A nurse may manage a TB case undergoing MDR-TB treatment for the first time. These cases are clinically complex and are often managed by an experienced case manager or a TB specialist nurse. Such specialists will work across level 2 to 3 of the framework. Should there be social issues such as a housing crisis, the case may be more complex. The framework identifies this into level 3 to 4, as a multi-agency approach may be required. The specialist nurse is required to understand the pharmacology and pharmacokinetics of the TB drugs and, most importantly, how to monitor the adverse reactions. The framework can be used to identify what level the nurse is at. The manager can then ensure support and that educational and experience outcomes are met by setting SMART-based (specific, measurable, achievable, realistic and timely) objectives around the framework.